The highly anticipated anime feature film My Hero Academia: The Two Heroes will be exploding onto cinema screens across the United Kingdom and Ireland on Tuesday 4 December, distributor Manga Entertainment announced today! The release will include both the original Japanese audio track, and the English-language dub. Manga Entertainment have yet to confirm screening locations, although you can sign up for alerts on the official website. 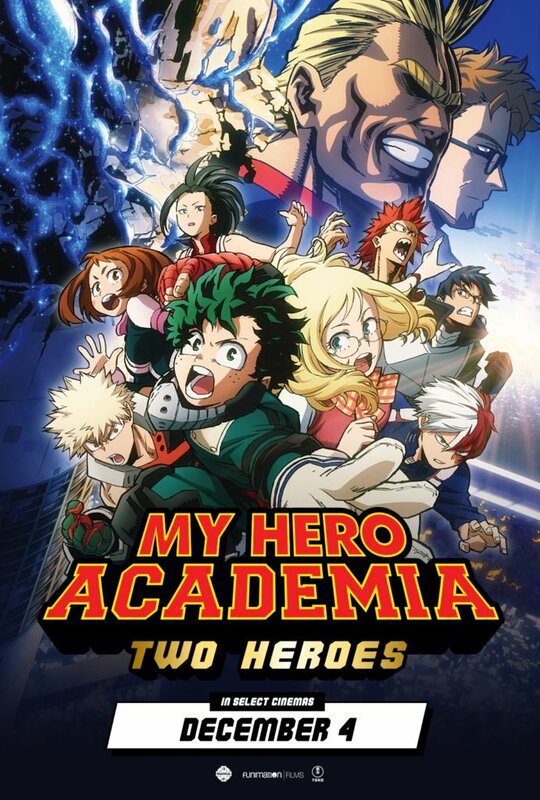 My Hero Academia: Two Heroes will have its Japanese, subtitled-only UK premiere at Scotland Loves Anime in Glasgow on 13 October 2018, before heading to the Edinburgh leg on 20 October 2018.